​Coachwork Auto Body has been dedicated to providing the highest quality collision repair service in the area for over 36 years. The business has gone through many changes since 1980. Now covering over 8400 square feet, Coachwork has evolved into a state of the art repair facility. Our team has a combined total of over 80 years’ experience. 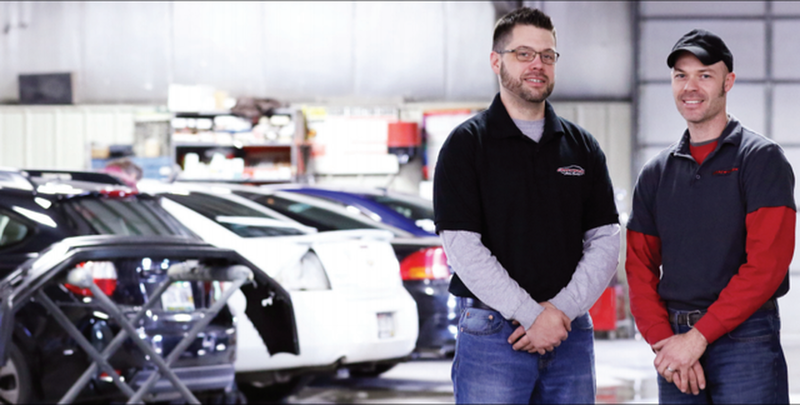 They are I-CAR (Inter-Industry Conference on Auto Collision Repair) and ASE (National Institute for Automotive Service Excellence) certified which carry some of the industry’s highest standards in terms of continuing education for collision repair. Coachwork Auto Body provides it technicians with the most technologically advanced equipment available to ensure that your car comes back in pre-accident condition and our repairs are undetectable. We have the ability to digitally match your cars paint using a camera that takes a picture of your cars paint, calculates the formula and uploads it to our computerized mixing system to give us a perfect paint match every time. Coachwork has been proudly serving West Bend, Hartford, Slinger, Campbellsport, Kewaskum, Theresa, Mayville, Jackson, Horicon, Iron Ridge and surrounding Allenton cities for over 36 years. We repair all vehicles foreign and domestic so please don’t hesitate to call us for all your collision repair needs. All our repairs carry a lifetime guarantee.